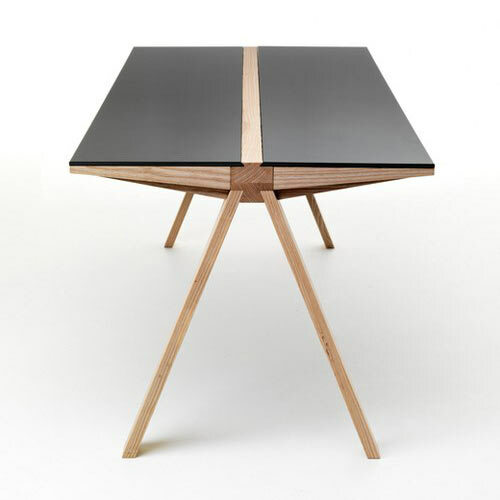 The Traverso Table is actually made of two table tops made of either glass or wood. 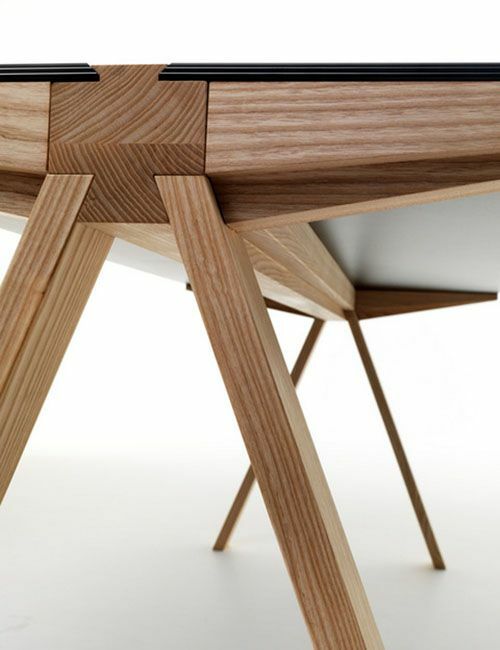 The joinery of this table is awesome. Very innovative construction and looks like the table would fall part like a bunch of sticks if you pulled one pin. Faccin's design ideology is that the principal structural and mechanical elements are necessities.